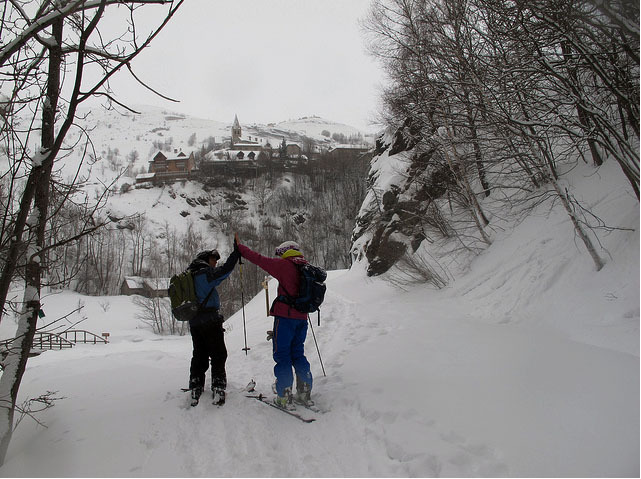 This year was a strange one for the snow situation in Europe, and everywhere for that matter. While Cordova, Alaska dug out from nearly 20 feet of snow, our friends in Switzerland and France kept sending us these notes. “Rien. Rien. Rien.” Nothing. Nothing. Nothing. “C’est où ça?” Where’s the snow? Then it happened. About the time that Peter and the Alpenglow team turned their freshly-waxed skis toward Europe, it dumped. Then it dumped again. Then it dumped some more. It even snowed in Rome! Am I putting the snow at Peter’s feet? I am not. 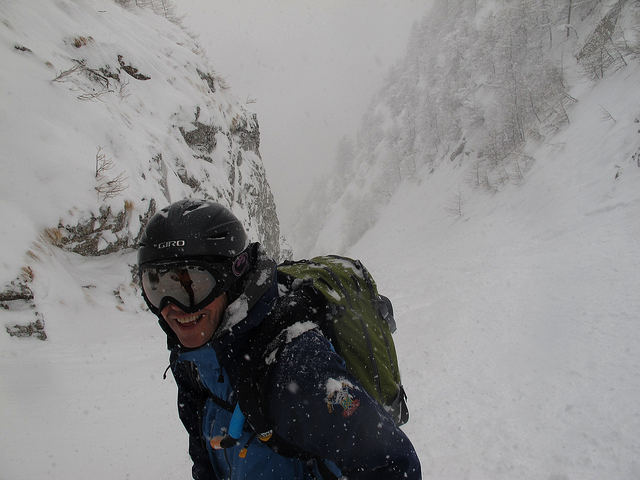 But I have noticed some interesting coincidences when it comes to snowy weather patterns and ski tours in Europe organized by our sister company, Alpenglow Ski Safaris. Whether it’s a highly refined art of manifestation, or just good luck, Alpenglow has some kind of mountain mojo that makes people smile. Just have a look at this photo. That’s John Buzza. He had the time of his life during Alpenglow’s recent ski tour in La Grave, France. (Notice the snow). Ryder-Walker head guide, Ken Fuhrer, put up some great photos of the trip. You can see them here. 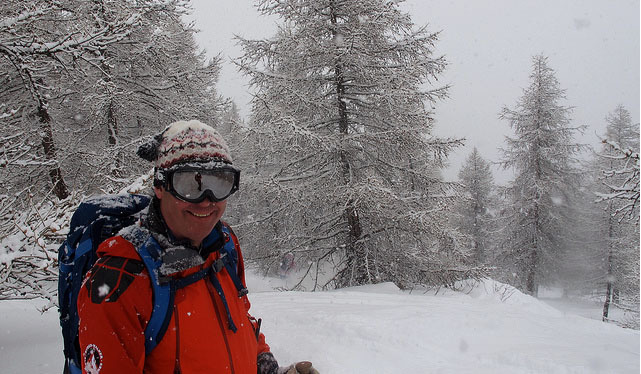 RW guide and adventure guru, Staffan Bjorklund, also blogged about the trip. Check it out here. Feeling a little dry this winter? Give Peter and the Alpenglow team a call. They’ll help you find your own snow cloud. Images from top to bottom: Peter Walker, happy because he said it would dump, and it did; John Buzza loving it; Staffan and John celebrating a day well-skied. | All images by Ken Fuhrer, La Grave, France.